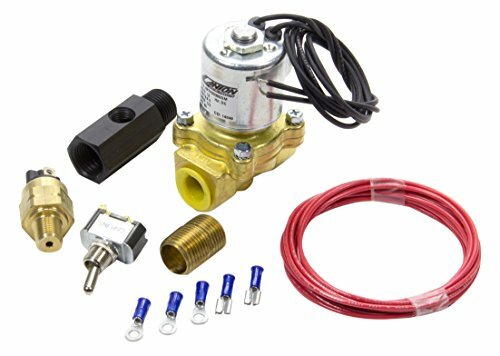 This Pro Electric Pressure Control Valve Kit is for a discharge/refill setting of 20-25 PSI. These valves have the convenience of an electric valve for remote mounted units and the rapid refill rate of a manual valve as required in racing. The EPC valving will only allow the Accusump to discharge oil when the engine's oil pressure drops below a predetermined level and only refill when the pressure rises above that level. Comes with regulator and all hardware needed for installation.